A new project using data from NASA's Chandra X-ray Observatory and other telescopes allows people to navigate through real data of the remains of an exploded star for the first time. 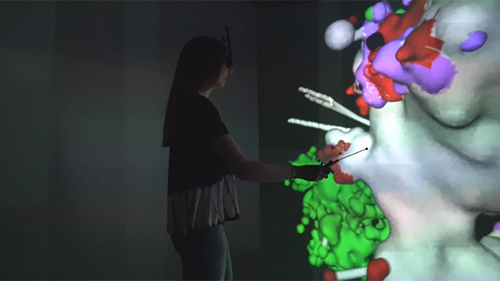 The new 3D VR/AR project of Cas A is a collaboration between the Chandra X-ray Center in Cambridge, Mass., and Brown University's Center for Computation and Visualization in Providence, RI, and will provide new opportunities for public communications, informal education, and research. 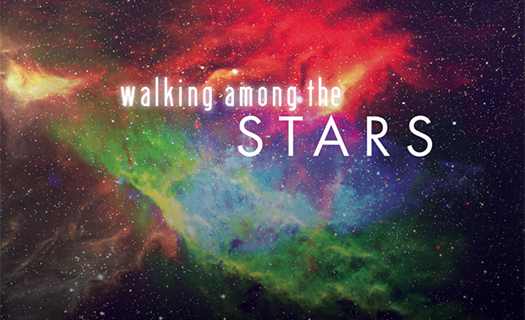 "The stars are much too far away to touch, but this project will let experts and non-experts — at least virtually — walk among one of the most famous supernova remnants in our sky," said Kimberly Arcand, Visualization Lead at the Chandra X-ray Center. VR is computer technology that simulates a user's physical presence in a virtual environment. AR adds elements, such as text, overlays and audio, to enhance that experience with sensory input. 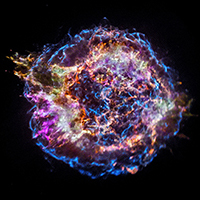 In 2009, a team of scientists, including astrophysicist Tracy Delaney (then of the Massachusetts Institute of Technology) and visualization experts used data from Chandra, NASA's Spitzer Space Telescope, and ground-based optical facilities to generate a three-dimensional (3D) digital model of Cas A, the first ever of a supernova remnant. In 2013, a team of data specialists translated that into the first 3D print of a supernova remnant. "As technology has advanced in the VR and AR realms in recent years, we realized that we could go further with the 3D Cas A model," said Arcand. "Instead of us telling people where to look in Cas A, this project lets them decide for themselves." Screen shot of the VR model in production. 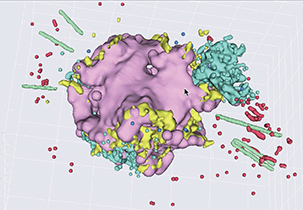 "The visualization of the Cas A supernova remnant took years to put together, and it deserves a magnificent way to experience it," said Tom Sgouros of Brown's Virtual Reality Lab. "Short of creating a building-size replica of the data, we think virtual reality is the best way to do that." The VR project is being made available in an open access format suitable for VR caves or "Yurts," as well as on the Oculus Rift platform. Please contact Kimberly Kowal Arcand (kkowal "at" cfa.harvard.edu) for more information on accessing those files. The project coordinators plan for a Google Cardboard version in future iterations. Additional data-driven 3D astronomical objects are also in the works for the Chandra VR/AR experience.